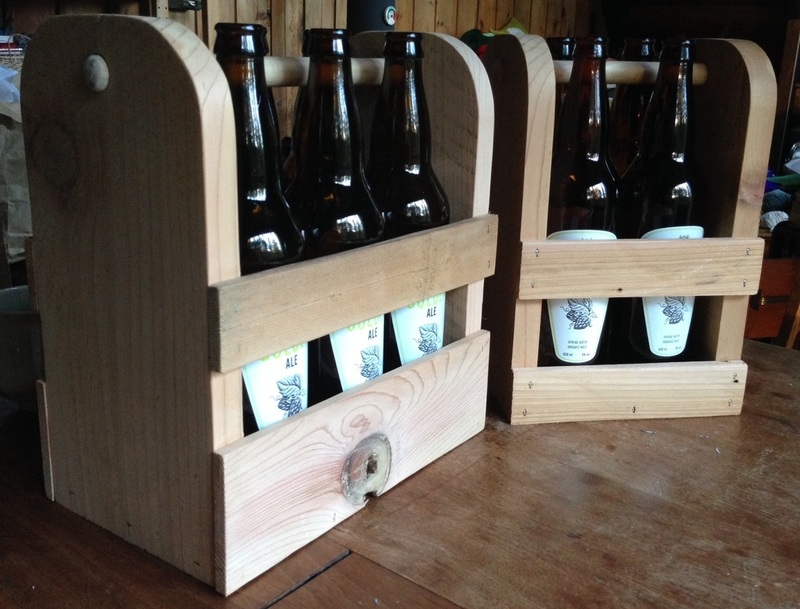 These bottle carriers are a great way to shop for your favourite local brew and are a handy place to store your bottles. They are made from reclaimed woods and are finished with 100% hemp oil. Growler Carriers fit two growler bottles filled with your favourite local brew. Bottle Totes fit large size beer bottles and narrow wine bottles. 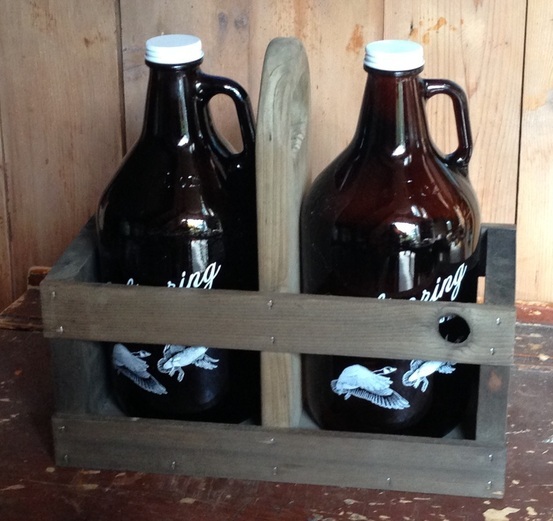 Growler carrier made with reclaimed cedar and stained black. Made with local reclaimed wood. Under each bottle, a hole the size of the top of the bottle has been drilled so that you can easily rinse and drain your bottle after each use. Bottle Totes made from unfinished reclaimed cedar. Fits the large size beer bottles and narrow 750ml wine bottles. Made from local reclaimed wood.